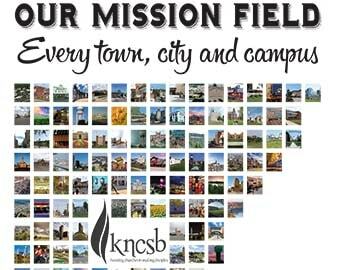 Week of Prayer for North American Missions will be held March 4-11. Many Southern Baptist churches collect the Annie Armstrong Easter Offering for North American Missions® during this time. 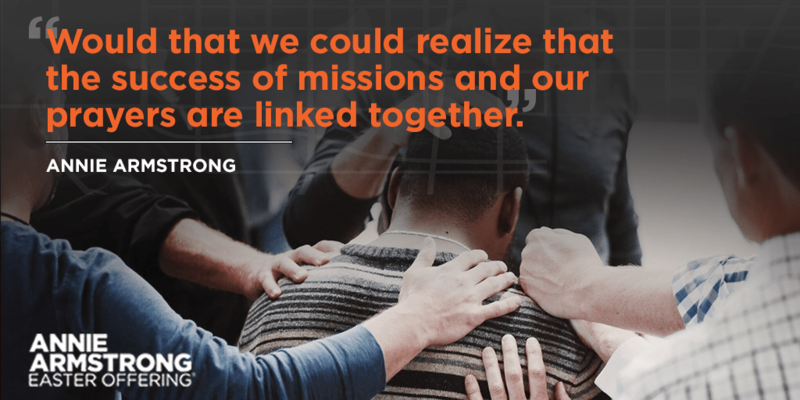 Annie Armstrong was a visionary who was a bold missions leader. “When I get hold of an idea that seems to me to be a good one, I somehow do not feel comfortable until I see it carried out,” she said. Annie’s father died soon after she was born in 1850. Her mother, a devout Christian, encouraged her five children to see the needs around them and to act. With fervency, Annie devoted herself to compassion ministry. Annie and the women of her church joined with other churches in giving and missions work. Her boldness soon helped unite the missions movement begun in several states. In 1888 she helped form national Woman’s Missionary Union and was elected as its first executive leader. As she traveled throughout the United States, Annie encouraged missionaries and challenged churches to give and support missions. Annie died Dec. 20, 1938, in Baltimore, but her legacy and heart for missions live on. This information came from the Annie Armstrong website. Read more here.